Animal Wildlife | Water Buffalo | The water buffalo is thought to have originated in Asia but has since been introduced to Australia,Africa,Europe and North America.The wild Asian water buffalo is now considered to be an endangered species.The water buffalo has been domesticated by humans for thousands of years and is used to pull heavy machinery and to carry heavy loads.Buffalo are farmed in most countries for their meat. 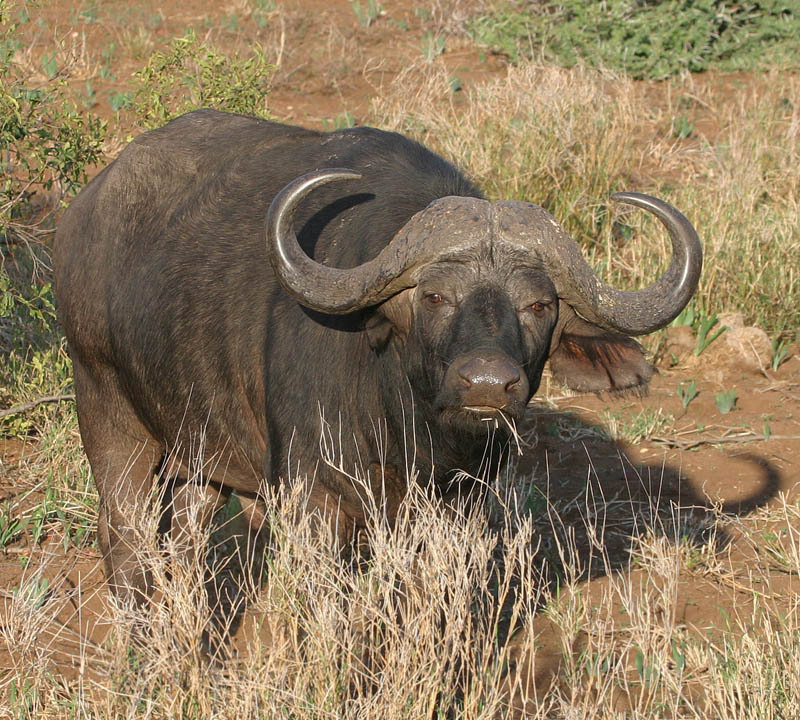 The water buffalo lives in herds with anywhere from a few buffalo to bigger herds in Africa that commonly have hundreds of buffalo per herd. 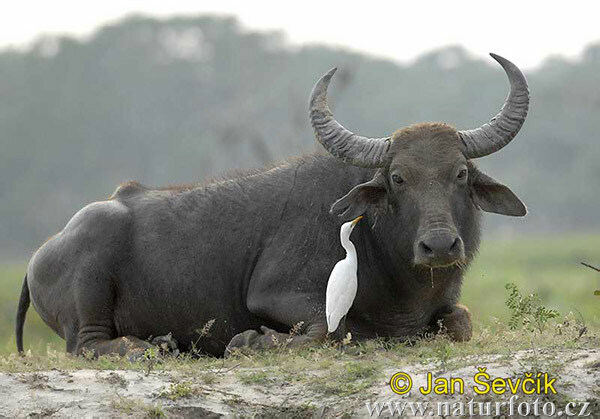 The buffalo is common prey for larger predators such as tigers, crocodiles and lions. The buffalo belongs to the same family of animals as wild cows. 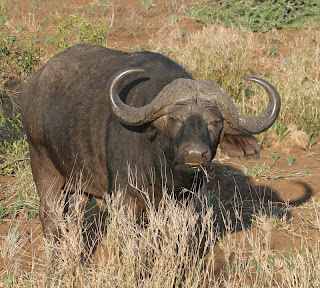 This group also includes the African buffalo and the American bison along with the yak and the zebu. Male water buffaloes have very distinctive, large curved horns on the tops of their heads. 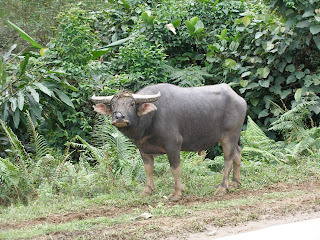 The male water buffalo is also about a third large than the female water buffalo and the male water buffalo is therefore more commonly used as agricultural aid. 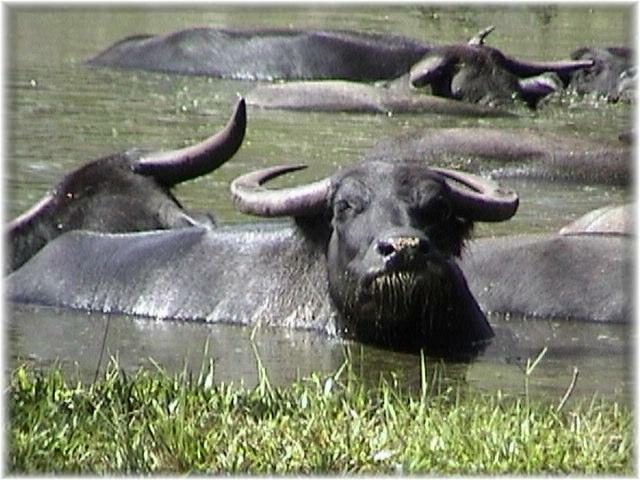 Water buffalo spend most of their time submerged in the muddy waters of Asia's tropical forests. 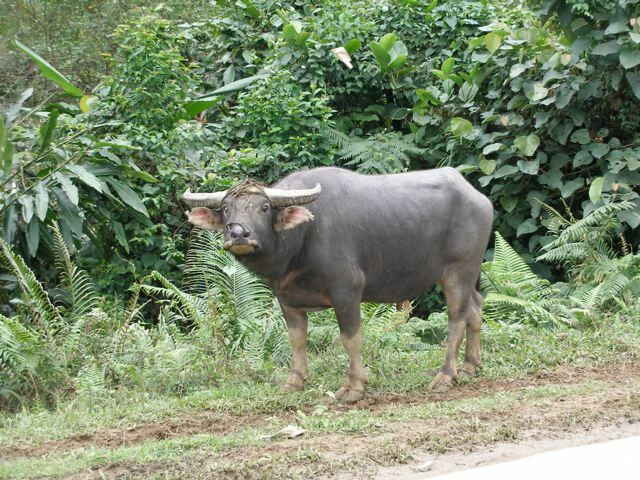 By doing this, the water buffalo is able to keep itself cool in the hot and humid jungle conditions. 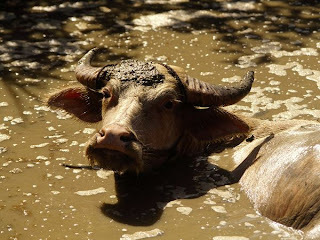 The hooves on the water buffalo's feet are spread out which allows the water buffalo to stop itself from sinking into the mud on the river beds and swampland. The water buffalo is herbivorous animal and the water buffalo therefore has a purely vegetarian diet. 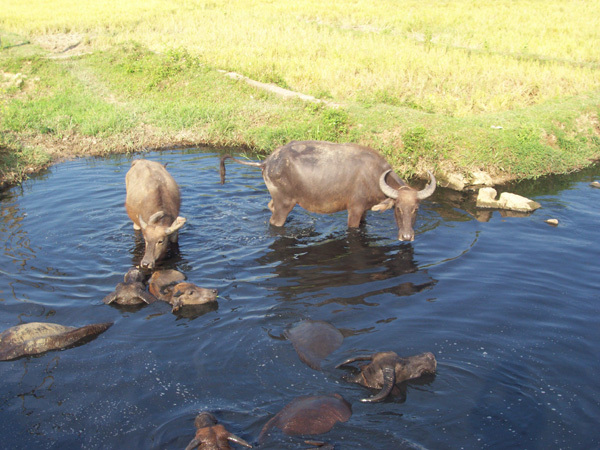 Water buffalo munch on aquatic plants when they are in water but water buffalo seem to prefer to leave the water to find grassland where the water buffalo can graze on grasses, leaves and herbs. 0 Response to "Water Buffalo"